As work continues to ease a housing crisis in Attawapiskat, another important construction project is starting. Work on the site for a new elementary school is underway. The old school was closed in 2000 following a fuel leak. Children have been in portables ever since. Seeing the work start on the school is emotional for Andrew Koostachin of Attawapiskat. "I feel pride and a lot of happiness," he said. Koostachin's teenaged daughter Shannen became the face of the long fight for the school. She was killed in a car crash shortly after the government announced it would be built. "This is what she wanted to see for the children of Attawapiksat," Koostachin said. "She wanted to see the children go to a real school." Sudbury architect Roch Belair is designing the new school to include elements that respect Cree culture. "We've tried to introduce some native artwork and forms and geometries within it to make it more conducive to a learning environment for native students," Belair said. 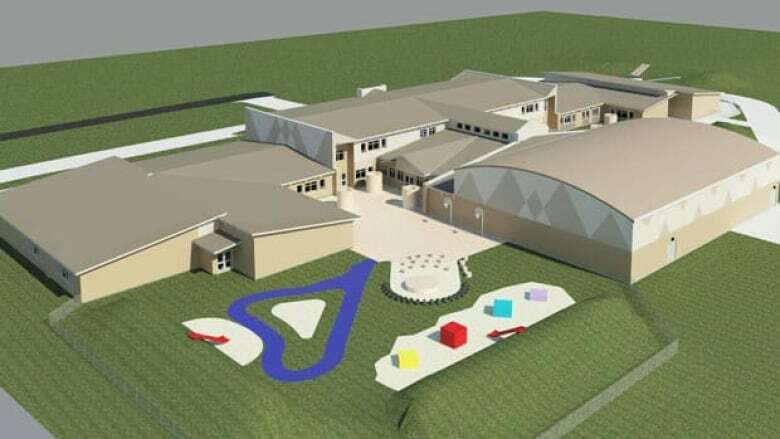 The new $31 million school is expected to open in 2013. Seeing the earth being moved on a snowy field in preparation for the new building is a beacon of hope in Attawapiskat. "The school is always the heart of the community," Koostachin said. "And once we have that building in place, we're going to have that pride in our community again I am sure."